Many claim the majesty of this great world is best seen and shared in the company of a majestic animal. For centuries, the horse has reigned in this trusted companion role, faithfully following man on his quest for knowledge and power. Horseback journeys have now evolved, no longer simply utilitarian; the ride in the right setting can make for an adrenaline-infused travel adventure. 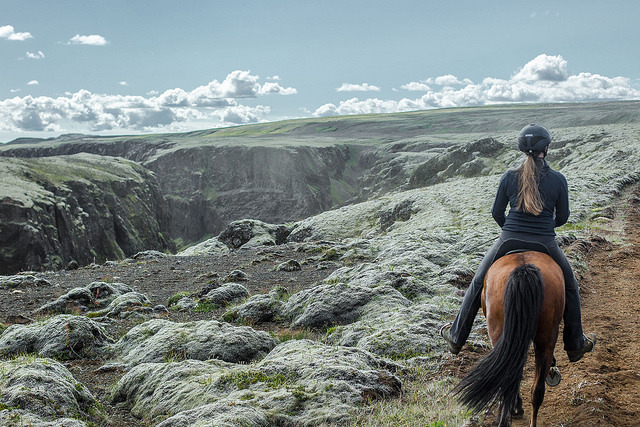 One such destination, Iceland, offers custom horseback holidays like no other. The wow factor reaches beyond this tiny island’s spectacular landscape. It is Iceland’s ancient horse breed, the Icelandic that will capture your heart. At first glance, one can easily mistake the Icelandic for a pony. But locals will snub anyone who does not give the Icelandic proper respect. It is a celebrated breed that has remained true to its heritage for nearly 1,000 years. Iceland’s strict breeding rules and import restrictions, dating back to 982 AD, have kept the line pure and nearly 100% disease free. Icelandic law prevents horses from being imported and exported animals are not allowed to return. Moreover, saddles, boots or other personal tack equipment from outside the country are strictly prohibited. So riders leave your gear at home. The Icelandic is small in stature standing just under 5 feet. But don’t be fooled, the horse is steadfast, muscular and strong like its ancestors. 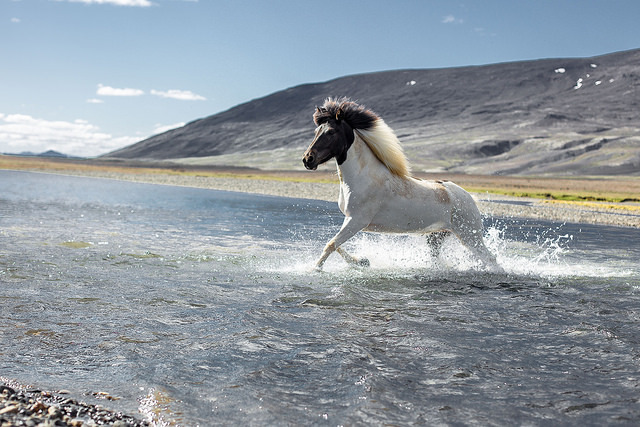 To ride an Icelandic horse, is to harness the wind and ride with the spirit of the Vikings. Shaped by history and the forces of nature, the Icelandic is hardy and resilient. At an early age, the horse learns to navigate rugged terrain and endure the harsh weather conditions. This ancient breed is special in every way from its shaggy mane to its exclusive dramatic walking gait, the Tölt. 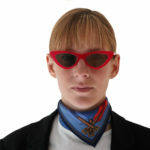 The Icelandic is also praised for its temperament. Calm, courageous and confident, the Icelandic is always at ease with the geo-diversity of the island. 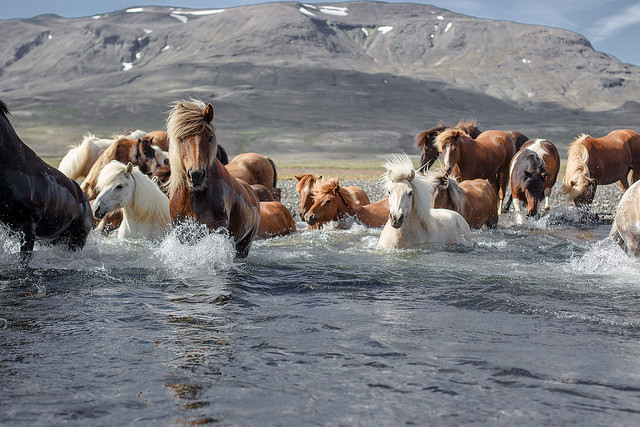 To learn more about The Icelandic, visit the Horses of Iceland website. 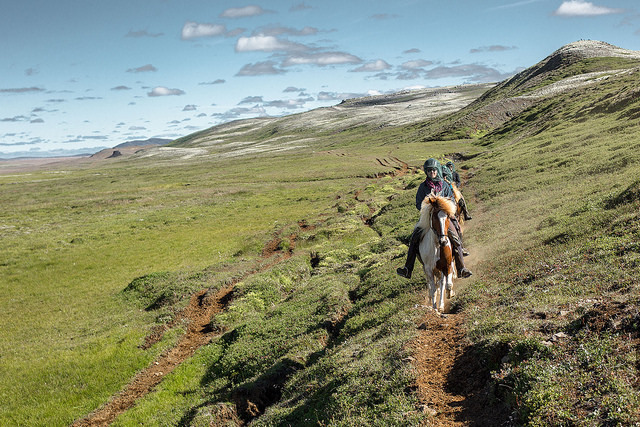 An Icelandic Horseback Holiday offers equestrians a truly unique experience to explore the rugged beauty and magic of Iceland. A variety of custom guided horseback tour packages are available. 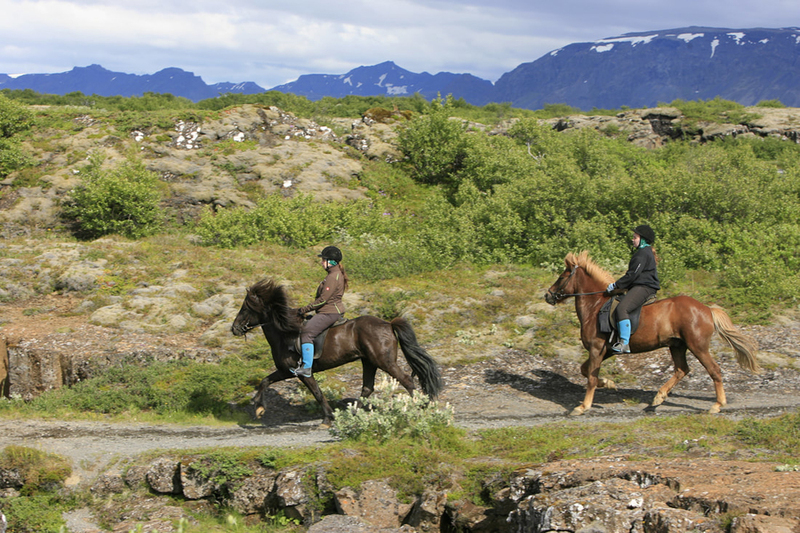 Many include a short-term stay at an Icelandic Horse Farm. Check out TripAdvisor for tour ratings. 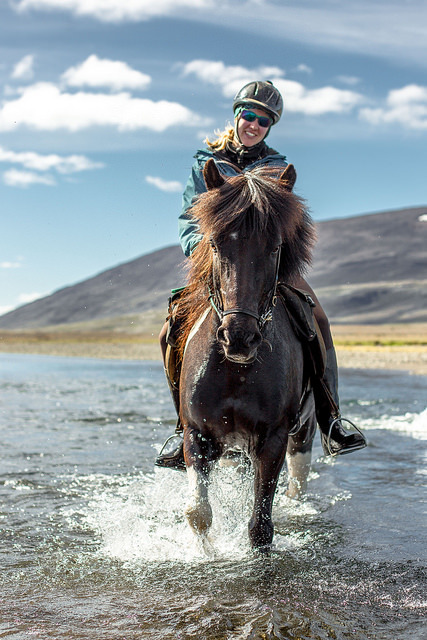 Exploring Iceland offers a fabulous 5 day Horseback Tour of Iceland’s Rift Valley for Summer 2019. 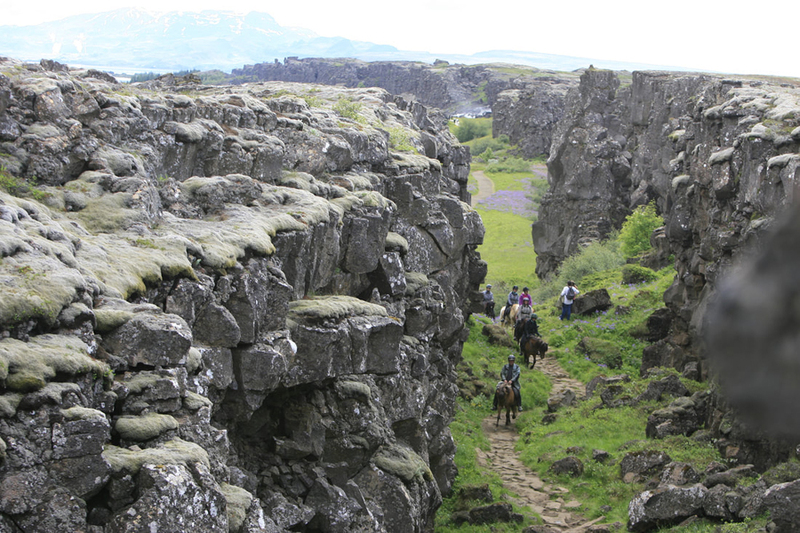 Riders will traverse secluded lava and birch trails, explore national parks and visit top attractions. The tour sets off from Reykjavik and travels to several scenic areas in Southern Iceland– Hengill Valley, Nesjavellir, The Golden Circle Loop and Thingevellir National Park. 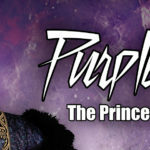 Visit Exploring Iceland for package details and rates. Photos Courtesy of Exploring Iceland.